Through his writing, Chaucer's wit, charm, and eloquence give us a deeper understanding of not only the time in which he lived, but of how human emotion, frailty, and fortitude are the base elements of human existence. Despite social upheaval and the changing fortunes of his patrons and peers, Chaucer remained a favored subject during three distinct and contrasting reigns. His experiences provided Chaucer an appreciation for his good (and bad) fortune - and that of others - made evident in his writing. Some 250 years after its first publication, Gibbon's Decline and Fall is still regarded as one of the greatest histories in Western literature. He reports on more than 1,000 years of an empire which extended from the most northern and western parts of Europe to deep into Asia and Africa and covers not only events but also the cultural and religious developments that effected change during that time. Taught by acclaimed Professor Patrick Allitt, a British-born scholar who teaches at Emory University, these 36 splendid lectures give you an insider’s take on traveling through Great Britain. Whether you are planning a week-long vacation, a month-long grand tour, or just want to experience England, Scotland, and Wales from afar, this immersive course takes you on a voyage through not only the most popular tourist sites but also a trove of “hidden gems” overlooked by the traditional guidebooks. For more than 1,500 years, the literature of Great Britain has taught, nurtured, thrilled, outraged, and humbled readers both inside and outside its borders. Chaucer, Shakespeare, Dickens, Austen, Swift, Conrad, Wilde - the roster of powerful British writers is remarkable. More important, Britain's writers have long challenged readers with new ways of understanding an ever-changing world. This series of 48 fascinating lectures by an award-winning professor provides you with a rare opportunity to step beyond the surface of Britain's grand literary masterpieces and experience the times and conditions they came from and the diverse issues with which their writers grappled. The unique insights Professor Sutherland shares about how and why these works succeed as both literature and documents of Britain's social and political history can forever alter the way you experience a novel, poem, or play. More than just a survey, these lectures reveal how Britain's cultural landscape acted upon its literature and how, in turn, literature affected the cultural landscape. Professor Sutherland takes a historical approach to the wealth of works explored in these lectures, grounding them in specific contexts and often connecting them with one another. All the great writers that come to mind when you think of British literature are here, along with unique looks at their most popular and powerful works. You also enjoy the company of less-familiar voices and contemporary authors who continue to take literature into new territories. 23. Wollstonecraft—"First of a New Genus"
40. Heart of Darkness—Heart of the Empire? 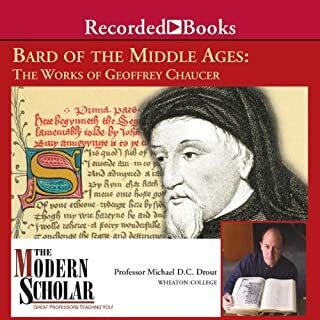 This audiobook was an enjoyable summary of British Literature from its inception with Beowulf in the dark ages up to the 21st century. As a general rule it was very entertaining, giving the background stories of the authors and describing how their lives and historical circumstances produced their writing. It was fascinating to hear the about the lives of Austen, the Brontes, Dickens and Hardy. I found myself zoning out a few times when poetry was the topic. I don’t think this is the fault of the lecturer, poetry just doesn’t really do it for me, although I found the lives of Keats and Byron to be interesting and First World War poetry has always seemed more poignant to me than poetry about love or beauty. As for Milton and Paradise Lost, I still don’t get it even now, even after it has been explained to me. 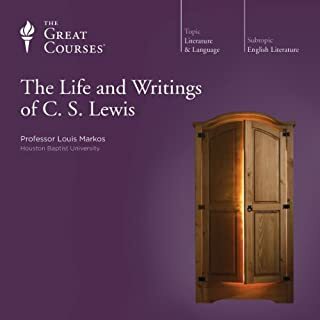 My overall verdict is that this is an interesting audiobook and, at 25 hours duration, well worth the price of the credit. What did you love best about Classics of British Literature? He built real history into each lecture. Prof. Sutherland really understands the time and culture of each author's world, and explains something of how each author's perspective fed their given work. The functional part of the lectures were well researched and quality, but nothing one couldn't find with an hour or so on the Internet (per lecture) - where this shined, and shined impressively is the depth and story built in, helping the reader understand the works they're learning about in a way that just reading a simple article never could. This is truly the intent of college level lecture. What was one of the most memorable moments of Classics of British Literature? I understood the basics of the creation of Mary Shelley's Frankenstein. What I didn't know was the structure of the party around them, and Mary's history. Which character – as performed by Professor John Sutherland – was your favorite? If you are a fan of the Great Courses series, this is a very worthy addition. The quality tails at the end, and I was disappointed at the lack of coverage of "children's" literature authors, C.S. Lewis, Lewis Carroll, and J.K. Rowling (among several others) have all made very real contributions to the literary history of Britain, and at the very least should have warranted a lecture devoted to them. I really enjoyed Dr. Sutherland's lectures. They were lively, informative, and humorous. 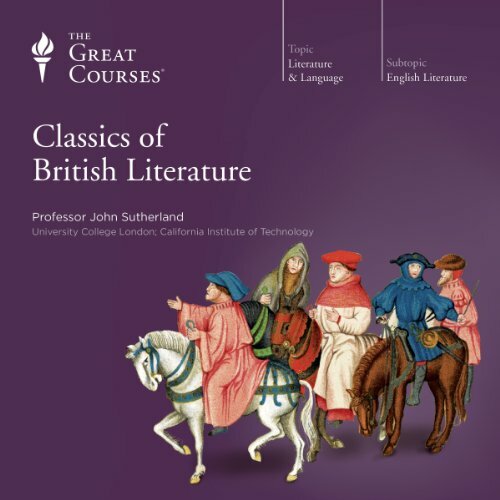 I recommend this course to anyone interested in British literature. great survey of brit lit, no chesterton though! These lectures were almost lined perfectly with the curriculum of my college Brit lit course. The poems and prose he goes over are some of the most famous works and therefore very helpful for students. I suggest listening to these lectures for review before tests! Fascinating and delivered with enthusiasm. Chapter headings w hen selecting a particular course to repeat would be helpful. The content of this series was rich, and enhanced by the wit and passion of Prof. Sutherland. The result is an enriching and extremely enjoyable experience. I really enjoyed this survey-like course into English literature and will definitely listen to more from Great Courses. 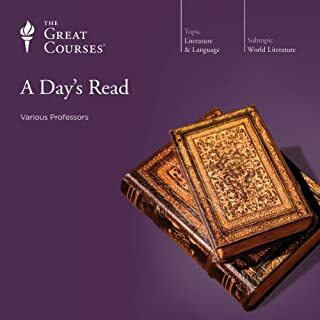 I listened to the first dozen lectures or so looking for gems of insights into these literary works, most of which I have had only have a cursory familiarity. However, the words were many and the gem-insights were comparatively few. What made the experience of listening to Classics of British Literature the most enjoyable? John Sutherland is probably already known to you as an author and critic. 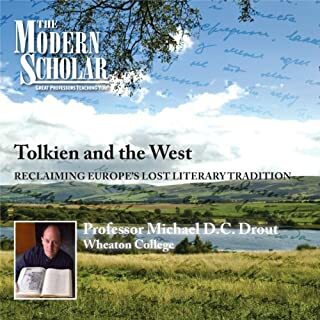 Here, he presents a series of 48 short (30 minute) lectures on English Literature from Beowulf, Chaucer and (of course) Shakespeare up to the 20th Century (Samuel Beckett, John Osborne, and Harold Pinter etc. ), talking about some of the best poetry and prose ever written - in any language. Sutherland's informal, conversational style engages the listener, and also makes the lectures ideal for listening to whilst doing other tasks. If you are interested in English Literature, this is a brilliant introduction. 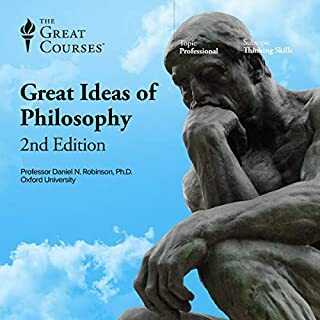 Tip: The introduction to these lectures mentions course material which isn't supplied with the audiobook download. Whilst this material isn't essential it can be viewed on The Great Courses website. My school education involved a shockingly scant coverage of English Literature. This course has really helped to fill this gap, and in a thoroughly engaging and enjoyable way. In common with other top lecturers from the Great Courses, Professor Sutherland injects his lectures with his own personality making the material easy to follow. I strongly recommend looking at the lecture titles on the Great Courses web site to see what books/genres are covered. It's very wide ranging and really did have the effect of making me want to read (or actually listen, via audible) to some of the literature covered. I suspect that this course might seem superficial to someone who has done a lot of literature study before (e.g. a former English major) but for me (a mathematics major) it was absolutely perfect. these lectures have made me want more English lit,the language which was inflicted on my people can be so sublime,but when it's written by an Irishan,well,it's even better,I want more. What a journey!! I will be listening to this again and again as l revisit the reading lists of these wonderful lectures. Wish I had a teacher like this at school. 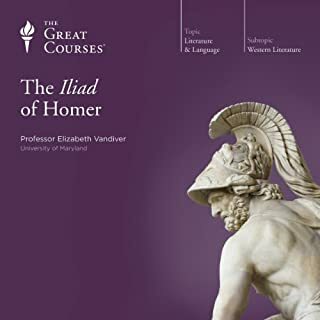 This series of lectures is wide and expansive, offering the listener insight and inspiration to reflect on classics in context. i very much enjjoyed the content along with the inclusive knowledge of the narrator. reccomend. Would you consider the audio edition of Classics of British Literature to be better than the print version? Cant say. the notes are helpful though. Lecturing style interesting. Have you listened to any of Professor John Sutherland’s other performances? How does this one compare? I suppose Jane Austin for whose work the author has real affection. Inevitably, this course is a surface-skimming overview of English literature. It felt lacking in quotations from the books/texts themselves in many cases. The lecturer attempts to include texts written by women and from non-white writers but he seems uncomfortable in these lectures. He says things like - the novel is more suitable for women than the grand epic and it is not clear whether these are his views or those of the times he is speaking about. I found the lectures on early women writers so awkward I could hardly listen to them. useful for putting famous works in context. The lecturer also makes insightful points about how works of literature/authors are influenced by those that come before.